Tegan is an Australian Research Council DECRA Fellow and Clinical Psychologist at the Australian National University, with an Honorary Senior Research Fellowship at the University of Queensland. 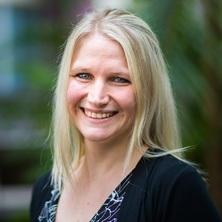 Her research investigates how social relationships shape mental and physical health; work that is at the intersection of social, clinical and health psychology. Tegan uses a social identity framework to address questions such as why are strong social relationships important for preventing and treating depression? How does stress influence changes in identity, and vice versa? Can we develop treatments for mental illness that are more affordable and less stigmatising, especially for vulnerable members of the community? Which social groups are more likely to influence health behaviours? How do our social relationships affect the spread of contagious disease? Cruwys, Tegan (2018) How groups beat depression. The Psychologist, 31 5: 40-42. Does shared group membership increase social risk-taking? Note for students: Dr Tegan Cruwys is not currently available to take on new students.